Glenturret Distillery, who are celebrating 240 years, and are the oldest working distillery in Scotland is have a open doors weekend on Saturday 7th and Sunday 8th November. This weekend will be open to the public giving them access to the whole distillery with free tours. 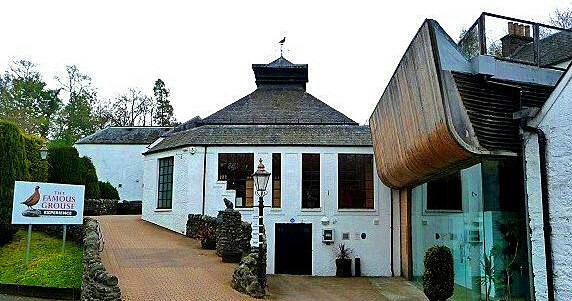 This open weekend with give visitors an opportunity to see how the Glenturret distillery produces their whisky and you can also look into the history of the distillery throughout the years. Not only are free tours available but also the chance to sample some drams from this famous Perthshire Distillery. While at Glenturret you can also visit their new visitor attraction, the Wilde Thyme restaurant and café which has recently just opened. There will be a special menu on all weekend, showcasing a range of whisky based dishes including mouth-watering Glenturret ice-cream to mark the distillery’s special anniversary. You will also have access the Glenturret distillery shop will be filled to the brim with a full range of distillery exclusives, perfect for a spot of early Christmas gift shopping. Tours will be running regularly throughout the day from 10.30am to 4.30pm. Tour places will be allocated on arrival in our Welcome Lounge. To plan your visit to the Doors Open Weekend at The Famous Grouse Experience at Glenturret Distillery visit www.thefamousgrouseexperience.com.